Το Vitalis Villas είναι μια πολύ καλή επιλογή για τη διαμονή σας σε Σαντιάγο - Λιοκος Σουρ, είτε είστε τουρίστας είτε επαγγελματίας. Από εδώ, οι επισκέπτες μπορούν να έχουν άμεση πρόσβαση σε όλα όσα η πόλη έχει να προσφέρει. Με την βολική του τοποθεσία, το ξενοδοχείο προσφέρει εύκολη πρόσβαση στους προορισμούς της πόλης που πρέπει οπωσδήποτε να δείτε. Το Vitalis Villas προσφέρει άψογη εξυπηρέτηση και όλες τις βασικές ανέσεις στους ενθουσιώδεις ταξιδιώτες. Μια επιλογή από εξαιρετικές ανέσεις όπως τα 24ωρη υπηρεσία δωματίου, δωρεάν WiFi σε όλα τα δωμάτια, κατάστημα δώρων/σουβενίρ, 24ωρη ρεσεψιόν, φύλαξη αποσκευών σας περιμένουν στο ξενοδοχείο. Επιπλέον, όλα τα δωμάτια διαθέτουν ποικιλία ανέσεων. Πολλά από αυτά παρέχουν ακόμη και επίπεδη τηλεόραση, λευκά είδη, καθρέφτης, πετσέτες, ντουλάπα προκειμένου να ευχαριστήσουν ακόμα και τον πιο απαιτητικό επισκέπτη. Το ξενοδοχείο προσφέρει φανταστικές εγκαταστάσεις, συμπεριλαμβανομένων των ιδιωτική παραλία, εξωτερική πισίνα, σπα, μασάζ, μπιλιάρδο, για να σας βοηθήσουν να χαλαρώσετε μετά από μια γεμάτη δράση μέρα στην πόλη. Το Vitalis Villas είναι ένας ιδανικός τόπος για να μείνετε αν ψάχνετε για γοητεία, άνεση και ευκολία στη Σαντιάγο - Λιοκος Σουρ. A good resort, a bit pricey but makes up for its clean rooms and good facilities Pros: Clean and spacious rooms Good Facilities Helpful Staffs Full Board Meals (Buffet) Ample Parking Quick check-in and check-out Cons: Place can get crowded during daytime as they accept day-tour guests The toilet flush in our room sometimes get weak specially during peak hours. May not be a place for elderly people as there are steep stairs. Overall it was a good stay. We enjoyed swimming on their pools. Everything was great. Staff were helpful and willing to serve. The room was very good except for low water maybe due to the seasons influx of guests. We had 2 big rooms with 4 queen sized beds and a jacuzzi. Spotlessly clean. We had a villa nearest everything. The smell of breads baking was heavenly. The buffet lunch... dinner and breakfast was great too. 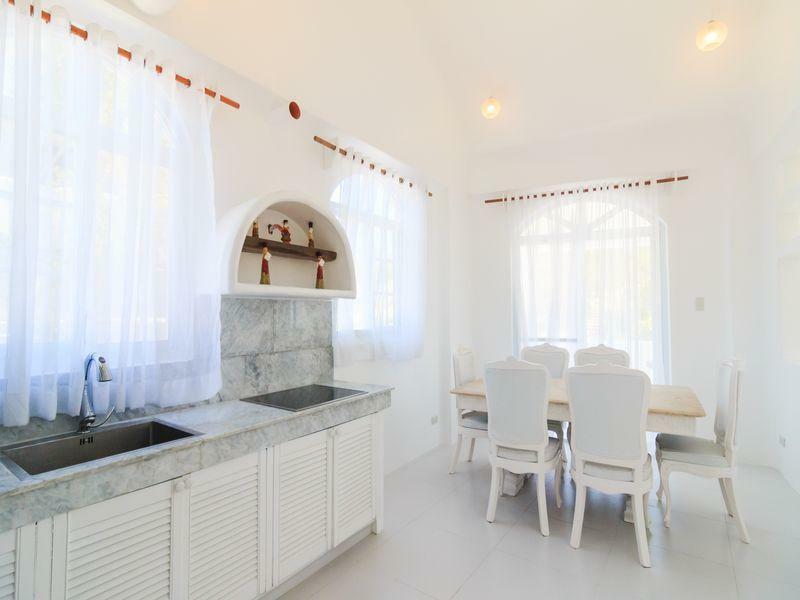 Looking forward to another vacation with Vitalis villas. It was a loooong drive up, but it was worth it -- the food, the view, were excellent. Would love to come back when the weather's a lot better (went there last August for our anniversary and there was a typhoon in the region). Full board meals a plus. The staff assisted us to getting a ride from the property to the bus terminal at a nearby town for free. Just had problem with connectivity that we are unable to reach the property prior to arrival. I love Vitalis. 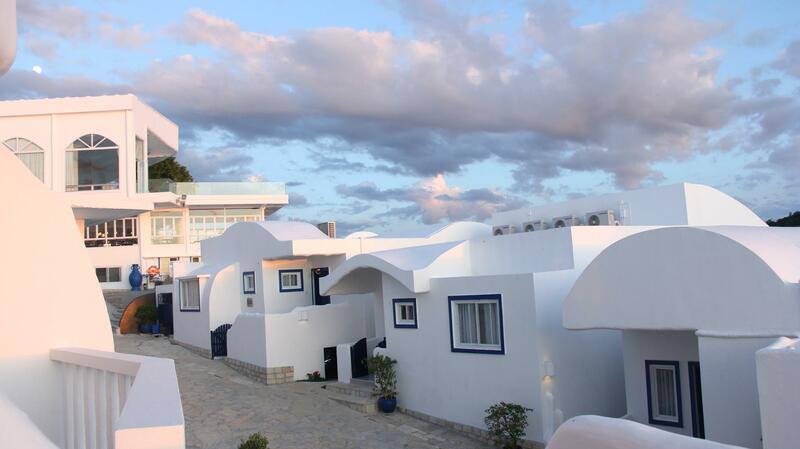 From reservations, to arrival, seeing the villas, the chapel and dining, Vitalis is just empecable. The staff gives the best customer service with a ready smile. Kudos to the chef of Petra Restaurant. Everything i have tried tastes good! The food variety is just right. The chapel is impressive. Makes a great place for weddings. The villas are empecable. Huge and very clean. Makes you want to stay in your villa and have a great relaxing time. The only downside I guess is the heat of the sun is much more apparent because its mostly cement and not much trees around. The place is not senior citizen friendly because of the stairs. But I would still truly recommend Vitalis Villas. Pleasantly surprised by clean and classy accommodations. Staff was friendly, helpful and hospitable. Delicious meals (breakfast, lunch and dinner) included with stay. Beautiful location to witness sunrise and sunset, too! Enjoyed the view, the villa, staff were helpful. I love the way that 3 meals are included in the payment of the villa. It saves time for us thinking of where to go for lunch and dinner and we don't have to cook or bring anything!! Vitalis Villas was a surprise. Quiet place. Nice pools. Friendly and helpful staff. Price includes 3 meals, all of which were very good. Buffet had lots of variety. Baked goods were fresh from their oven. Cheese rolls to die for and would rival Mary Grace's. If you are wanting to swim in the beach, you are brought to one by jeepney/shuttle. Beach not that nice but will do. Activities are price reasonably - zip line, kayak, jet ski. If you want a couple of days to relax by the pool, catch up on your reading, eat good food, this is the place to go. WIFI wasn't working when we were there. Cable TV in the room by Cignal was good. 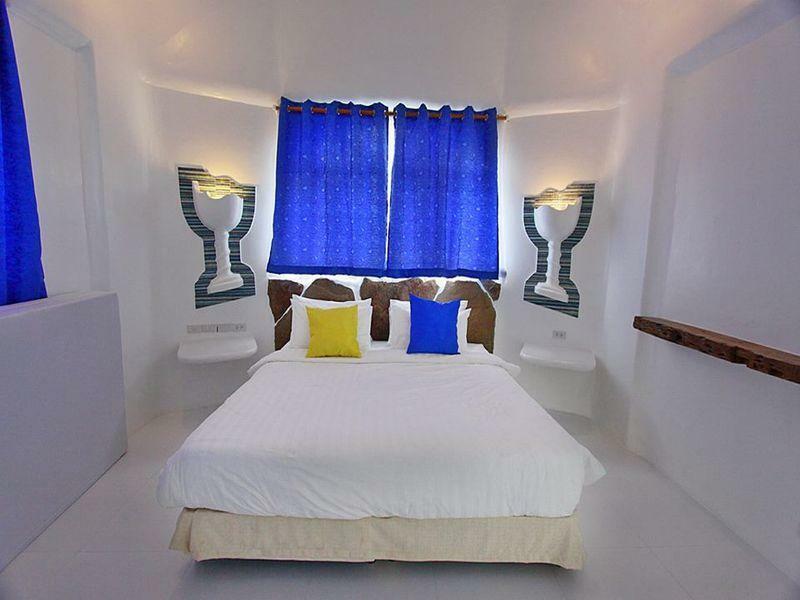 Vitalis Villas is the Santorini of the North, strategically placed in Santiago cove in Ilocos Sur. Once you enter the premises, friendly staff will greet you instantly. 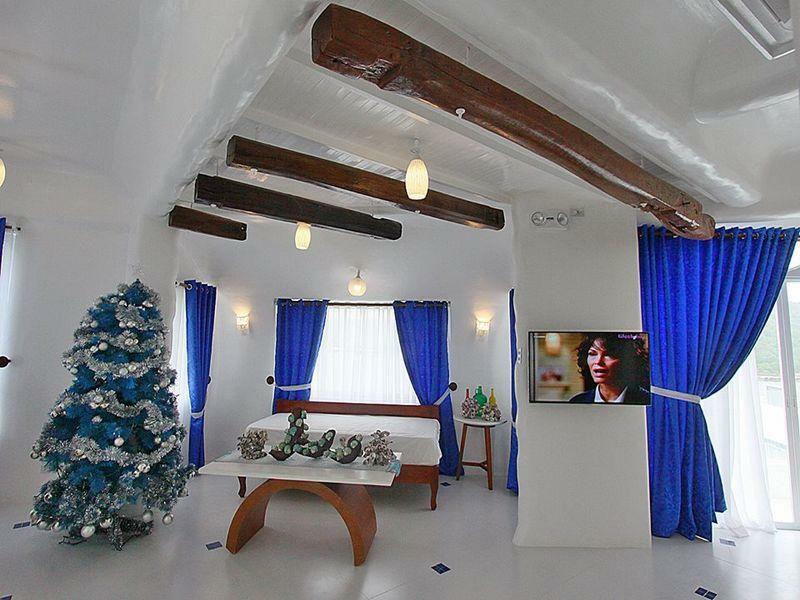 Once you enter your villa, you will be greeted with white walls decorated with blue curtains and accents. Rooms are big and spacious. Now let me talk about the beds. Ah yes, the beds are THE BEST that we have slept so far in all of our travels within the Philippines. Not to mention the pillows too! You will surely get some good night sleep once you experience it for yourself. But the best part of all was the food! We got coupons for breakfast, lunch and dinner. Unli bacon for breakfast, shoyu roast beef and potato au gratin for lunch, and chicken inasal for dinner. 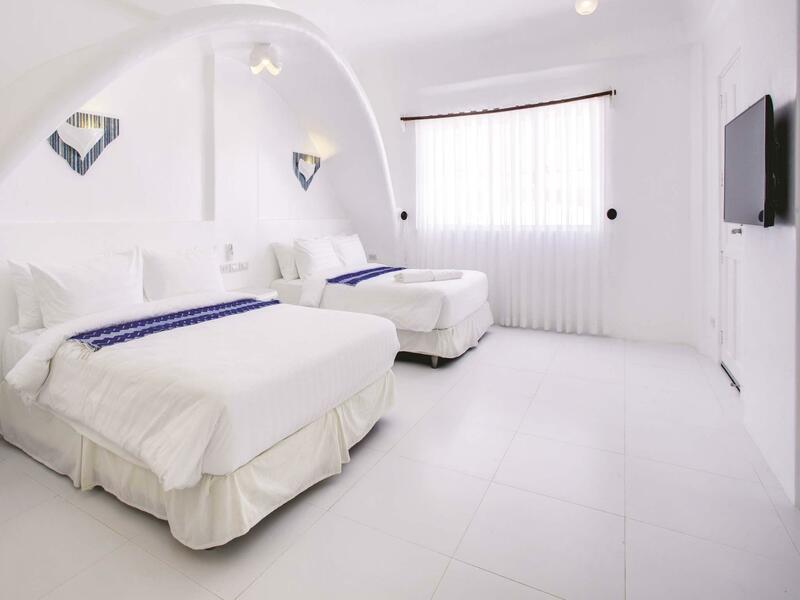 Whether you will go there as a couple, as a group or with your family, you will surely enjoy Vitalis Villas. We will definitely go back here! The place so relaxing all activities you can choose is there all Staff is accommodating to your needs . Cleanliness is beyond the food is 100% variety of selections. The room cleanliness is super . The pool is very clean and privacy is always there priority. For a long time been planning to visit this place multiple attempts but due to some issues of Immigration documents it took us awhile to come and visit this place til finally it ends up only the two of us finally and successfully book the said vacation plan . It was along trip from Manila but it was really worth going and staying this place it seems to me I’ve visited already Greece , very beautiful place and quite so good for relaxation and rejuvenation. Be ready and energetic to return to work after a long relaxing vacation. I highly recommend the place to my co workers and Friends to visit this place so they can also feel the feeling of being in Greece but the Philippine version ...... Enjoy while able Life is short ..
Classic Santorini architecture. We booked a villa close to the pool and the buffet. Surprisingly the buffet board meals was sumptous (italian cuisine in a greek setting), not bad at all. It was unfortunate we were not able to enjoy water activities because of the recent typhoon. Looking forward to our next vacation again in vitalis. Each booking included full board buffet meals which was superb... not so crowded and rooms were spacious. Amazing sunrise! Great getaway place..
highly recommended. everything is perfect.